As the cryptocurrency industry recovers from the Initial Coin Offering flood and hard lessons in investing / speculating, the Blockchain industry keeps on pushing forward and keeps innovating in technology that will have an impact on every human being one way or the other. I/O Coin has been at the forefront of Blockchain development since 2014 and is not funded by any Initial Coin Offering or pre-mine. The community and founding / development team are funding this Open Source project. Global warming, rising energy consumption, pollution and poverty are the biggest challenges. Climate change is (should be) on everybody’s agenda. With Blockchain technology we can not only put the end-product to work for a better planet and help individuals getting access to a savings and payment network, but we have to take our responsibility to contribute at the core of our technology as well. This is where Proof of Stake will become the next Blockchain industry standard. Proof of Stake is Proof of Future in Blockchain validation and participation. When I/O Coin started in 2014, the team did extensive research on Proof of Work and Proof of Stake before they launched I/O Coin and decided Proof of Stake was future proof and the right way to go. After a two week mining period the network switched to Proof of Stake. Proof of Stake is the consensus algorithm used by cryptocurrencies to validate blocks. Bitcoin uses the Proof of Work method. The system was initially suggested in 2011 and the first cryptocurrency to implement it was Peercoin in 2012. The main advantages of proof of stake are energy efficiency, security and easy participation. I/O Coin is Proof of Stake where every block gives 1.5 IOC reward to the creator of the block. IOC has a balanced Proof of Stake protocol where every participant will receive approximately 4% rewards (average annually) on their stake. On top of that all IOC data fees are re-distributed to the stakers incentivizing them even more. The main advantage of Proof of Stake, over a system such as Proof of Work, is that it uses considerably less energy and as a result is more cost effective. 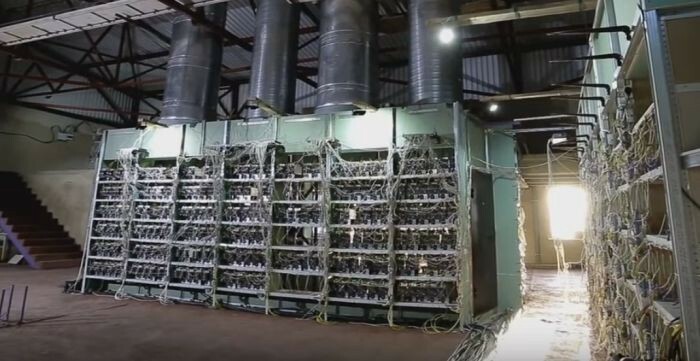 It is well documented that each Bitcoin transaction, which uses a proof of work system, can require as much electricity as an average household does in two weeks. This is both ineffective and unsustainable. One of the core visions of IOC is that anybody should be able to participate in a global Blockchain network and not just the big mining companies which also lead to more centralization. 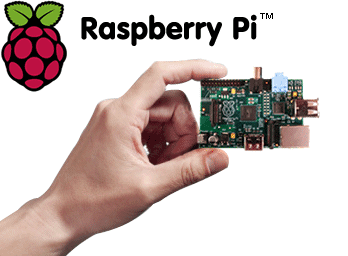 People in underdeveloped countries should be able to buy a Raspberry PI, put an I/O Coin wallet on it and stake their IOC. Getting a passive income on their holdings in the form of stake rewards and participate in a global Blockchain network. Participating in a global (micro)payment network. Proof of Stake by design requires hundreds of thousands times less energy than traditional Proof of Work mining. You can run a staking wallet on your laptop. But making a staking wallet available on Raspberry PI, that uses approximately 1.2 watts (a house computer around 150/200 watts), is even a greater solution. Accessible and affordable by the majority. This is why I/O Coin chose Proof of Stake back in 2014. Since 2014 IOC had the vision that there would not be one Blockchain ruling them all. Even though we have a few big Blockchains stealing the show in coinmarketcap, they all lack of a few things and focus on their own closed ecosystem. The world of Blockchains is growing fast. The need for interoperating with other private or open Blockchains is vital in creating a world wide Blockchain ecosystem and globalization. Each Blockchain should be focussing on their own strenghts and with standardization we could be able to connect these Blockchains with each other and use each others features if needed. The I/O Digital Foundation, the non-profit Foundation that directs, funds and oversees the development of the I/O Coin Blockchain, has initiated a second project called Chameleon to facilitate the lack of interoperability, Smart Contract standards and a solution for scalability. 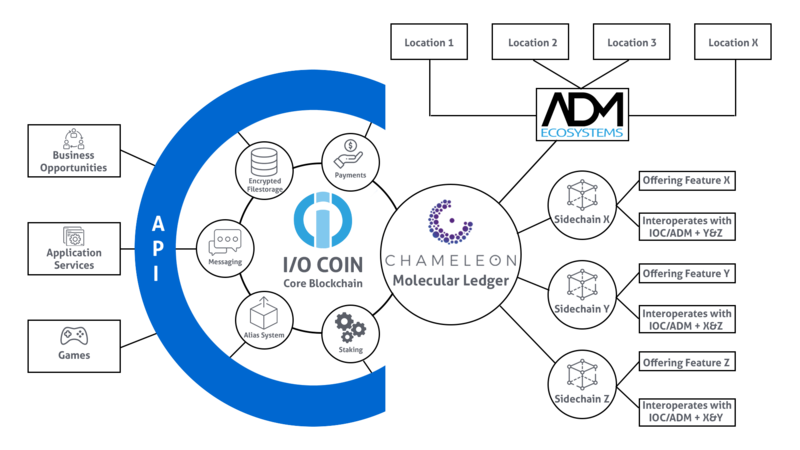 The Chameleon Molecular Ledger will be the ultimate interface that has the ability to interconnect to other Blockchains around the world. Those Blockchains will be able to interchange the features they have. Chameleon will be standardizing connectivity, interoperability and will propose new standards in validating transactions and facilitate a lightning fast network throughput for global usage. Volumes in the order of several million per day. The existing blockchain based ledger replication scheme per node will not scale in terms of data volume. The diagram is a logical depiction of how ledger data can be shared amongst nodes without the need to replicate the entire ledger and also that there is sufficient redundancy such that the ledger remains complete with a tolerance of nodes either disappearing or misbehaving. The form of ledger used in Chameleon is distributed with redundancy so that no single peer holds the entire ledger. 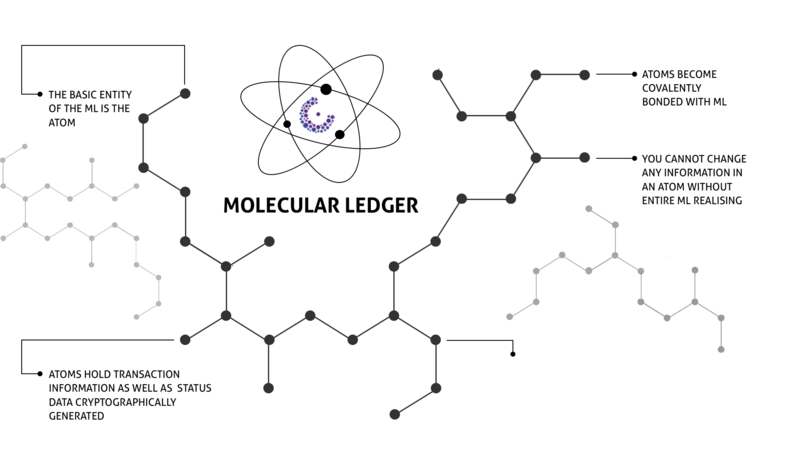 Transactions are validated by multiple randomized graphs over the network. Given the statistical nature and thermodynamic parallels, the Chameleon ledger is termed “The Molecular Ledger”. I/O Coin will play a big part in this ecosystem. The IOC Blockchain has data capabilities that could be used by connected services and IOC stakers will also participate in validating Chameleon transactions.